If you are looking for a natural wood look for your country or Las Vegas suburb home, then check out our stained buildings! 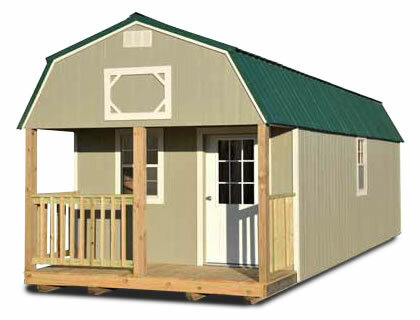 The fir wood siding adds a rustic look to our portable storage buildings and will allow it to blend into rural areas much easier. This will keep the storage building from standing out. 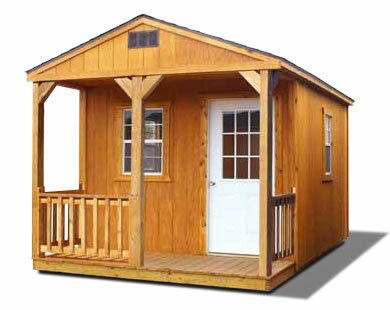 Our fir wood sidings are treated with Honey Gold Olympic Stain that seals and protects the wood from water. The wood joists and skids that have been treated on our natural wood buildings are protected with a limited lifetime manufacturer warranty against termite and fungal damage. 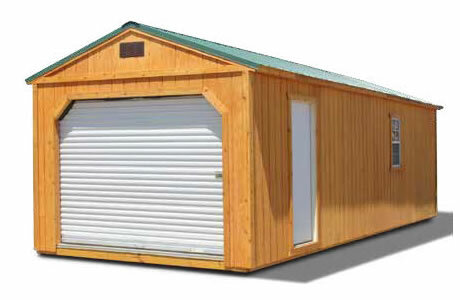 No one likes portable storage buildings that clash with a home or business building. 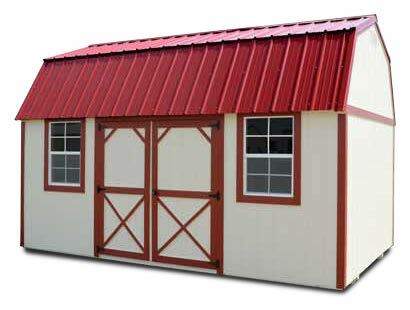 With LP® SmartSide® painted siding, your portable storage building can be coordinated to the color scheme of your choice. These painted panels have the quality of engineered wood, but the aesthetic of cedar wood. 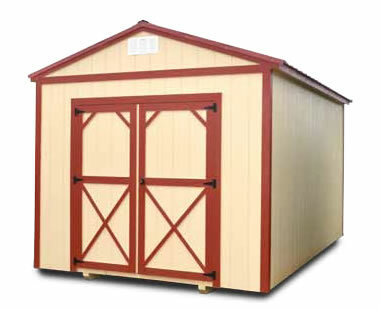 Not only do these painted panels add character and style to a storage building, they add durability. The panels resist fungal, decay and termites. The manufacturer even provides a 50-year prorated limited material warranty and a 5-year 100% labor and replacement warranty.